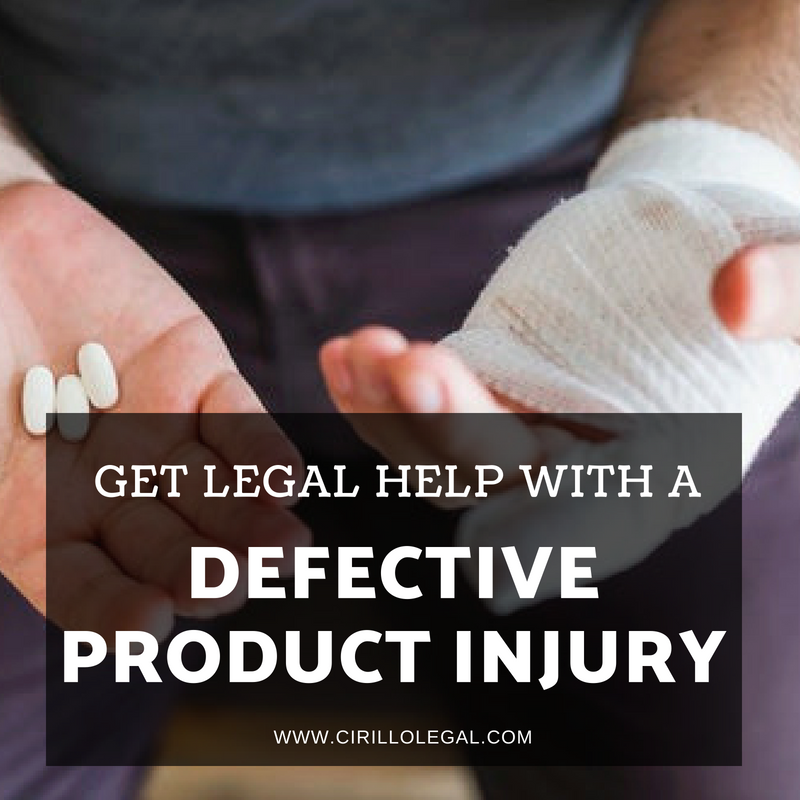 If you have sustained any damage or injury because of using a product that was inappropriately advertised, developed or sold by any company, you can claim for compensation with the help of a defective product injury lawyer. The lawyer will fight for your rights and make sure you are fairly compensated for your losses. Every year several consumers complain about damaged products and their side effects including injuries as well as fatality. A victim of a product damage can claim compensation from the designer, manufacturer, seller or advertiser of the product in lieu of product liability under the defective product injury laws. This is a defect that is in a product in its design phase, which means it poses a threat even when manufacturing hasn’t started. Defects sustained by a product during the manufacturing phase are covered under this label. When the product lacks adequate terms of safety and warnings for safer use of the product this counts as warning defects. Defective product injury cases can be cumbersome and hard to assess when you do not have the basic knowledge about it. Hiring a Defective Product Injury Lawyer is recommended as the lawyers are the experts of their field and understand the criticality of the cases besides having knowledge of terms and conditions. In order to claim the compensation, one has to prove that he/she sustained injuries because of the defective product.Moreover, the fault of an individual party must be proven in order to file a claim against the guilty party’s insurance company. The paperwork and evidence collection process for the procedure can be very tormenting and intimidating. A person without knowledge and experience might get troubled in without proper guidance. Right from identifying the guilty party(manufacturer, designer, promoter, and seller) to facilitating the court proceedings, an experienced lawyer can offer comprehensive help. The trial lawyers from a reputed Personal Injury Law Firm New Haven, CT can help you in expediting the course of your application and get instant gratification.They have sources of information and an extensive network that help in expediting the process.